This is due to Sony’s WhiteMagic, a technology that makes its smartphone debut with Xperia P. On a normal LCD display the color of each pixel (including white) is produced by mixing three subpixels: red, blue and green. 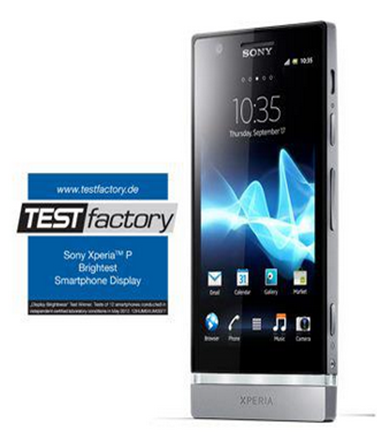 But, Xperia P’s 4” Reality Display with Mobile BRAVIA Engine has a fourth white subpixel. This makes it possible to significantly brighten the display to guarantee a clear and sharp picture, even in dazzling sunshine.